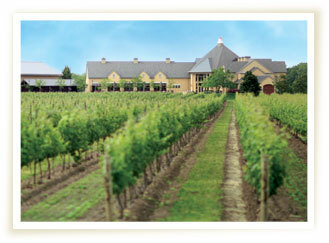 It all began in 1927 when Andrew Peller first arrived in Canada from Hungary. Having owned a series of successful businesses, he came here to finally pursue his dream. He envisioned a day when Canadians, like Europeans, would come to appreciate premium quality wines and enjoy sharing them with family and friends. 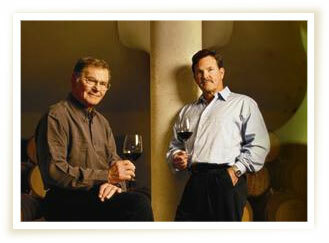 He pursued his goal and established Andrés Wines Ltd., the youngest of the large Canadian wineries in Port Moody, B.C. in 1961. The name Andrés was chosen as the closest to Andrew Peller's baptismal name 'Andreas', but with a French flair. In 1964, winery operations were established in Calgary, Alberta and in Truro, Nova Scotia. In 1970 Andrés entered the Ontario market with the purchase of Beau Chatel Wines in Winona. In 1974 Andrés moved into Quebec with the founding of Les Vins Andrés in St. Hyacinthe. In 1975 Andrés purchased the Valley Rouge Winery located in Morris, Manitoba. The Manitoba location closed in 1992 and in 1994 Andrés acquired Hillebrand Estates Winery, Canada's largest producer of VQA and premium wines, located in Niagara-on-the-Lake, Ontario. Andrew's son, Dr. Joseph Peller joined Andrés in 1965 and subsequently took over as President & CEO in 1970. In 1989, third generation John E. Peller joined the company as Vice President Sales & Market Planning. In 1993, Dr. Joseph Peller relinquished his Presidency and in 1995, his position as CEO to his son John. In 2001, after more than six years in the planning, Peller Estates Winery was officially opened in Niagara-on-the-Lake, Ontario. This new winery clearly reflected the dreams and vision of Andrew Peller and is a testament to all he achieved in his lifetime. 2006 marked the 46 year history of the company and a corporate name change from Andrés Wines Ltd., to Andrew Peller Limited was completed in honour of the company's founder Andrew Peller. In his announcement on the corporate name change, John Peller, President & CEO wrote "...our new name is the best embodiment of our timeless vision - it is true to who we were, who we are today, and who, as we continue to grow, we will always be."